Now you and your keyboard can gel together and beat the competition. 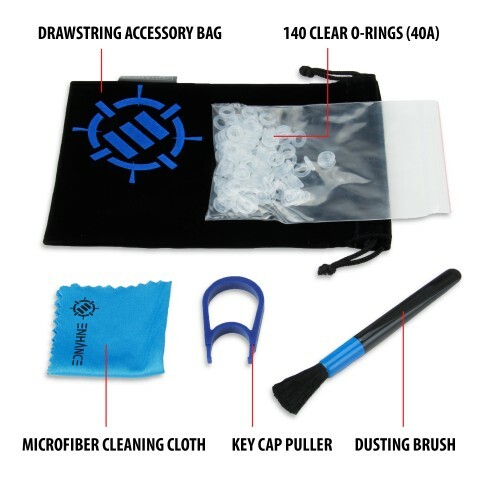 The mod kit comes complete with 140 clear O-Ring silicone sound dampeners. These cutting edge switch accessories will help reduce noise level for those late night gaming sessions. Click away without having to wake up your parents! 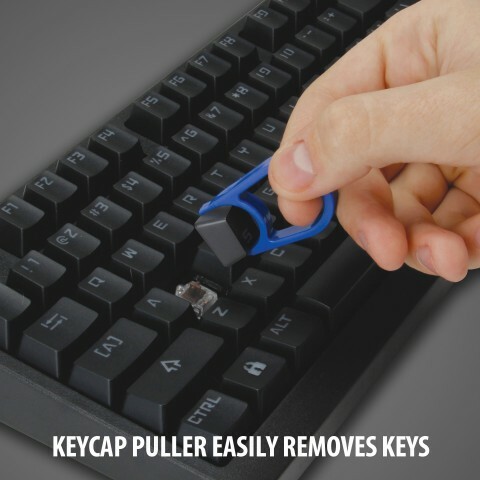 The dampeners also help reduce vibration from repeated typing on your keys providing your fingers a comfortable feel that helps reduce fatigue. Hitting keys faster than your opponent is paramount; the dampeners give you quicker actuation so you can punch keys at a faster rate. Stay one step ahead of your enemy and get them before they get you! With a transparent design you don't have to worry about your keyboard losing that illustrious light. 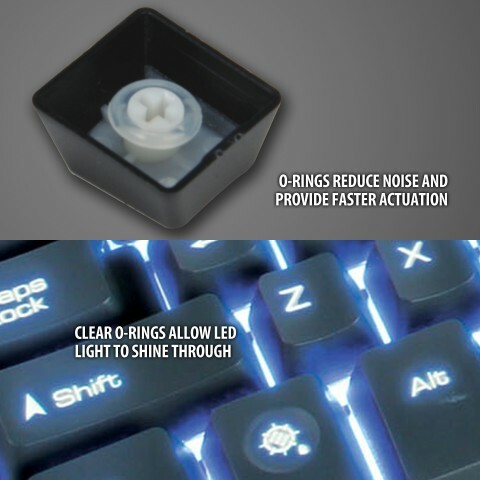 Your LED's will shine right through your keycaps so your setup won’t lose any of its luster. 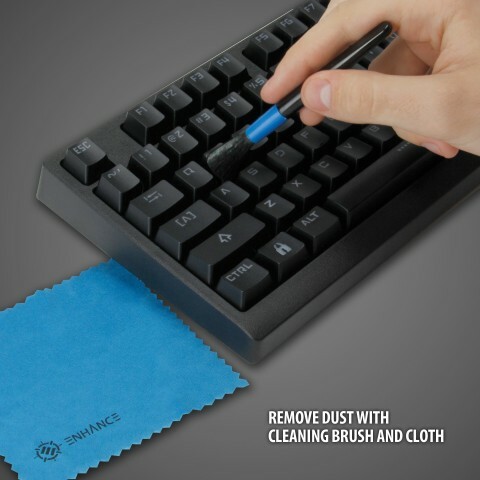 Quit digging under the keys on your keyboard to clean or straighten them out. 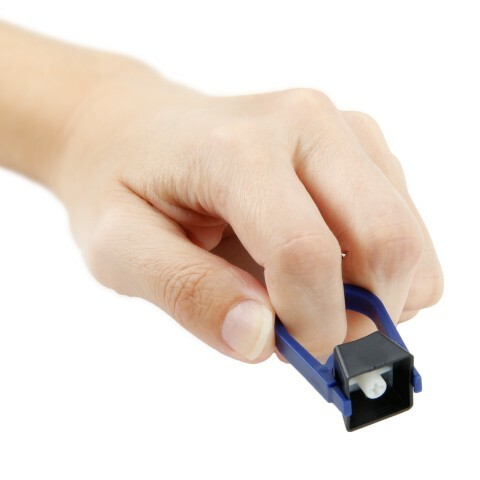 With the rounded keycap puller all you need to do is place your finger through the loop, place the prongs under the key and pull up. 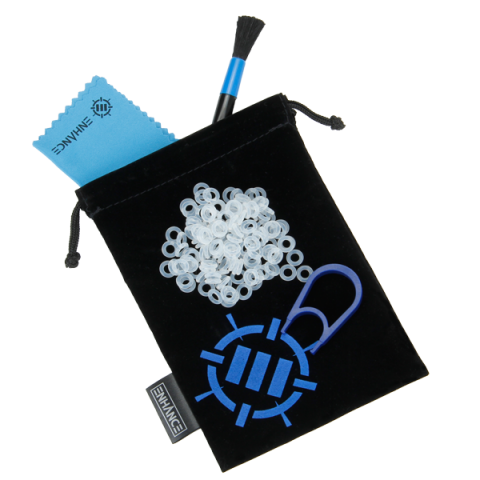 Now you can clean between the keys and replace the O-Rings on your switches with ease, no hassle at all! Wipe away dust and crumbs with the cleaning brush and cloth. If your keyboard looks good, it performs even better! You're probably thinking all of these small items will get lost easily. 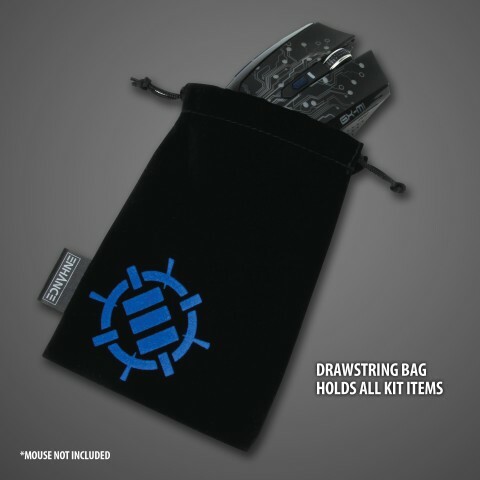 Not anymore, with the drawstring accessory bag you can store everything in the mod kit as well as your favorite gaming mouse in one place. 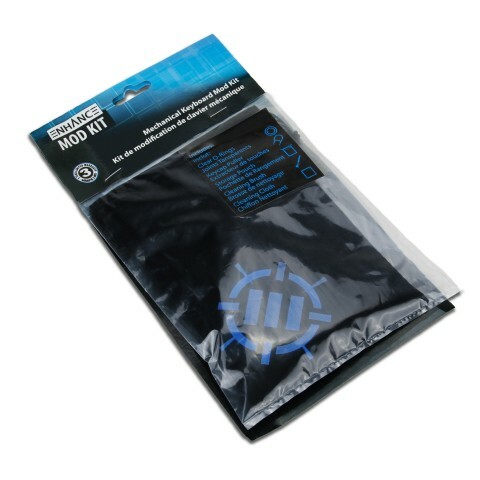 Bring it with you to your next competiton, or just leave it on your computer setup.